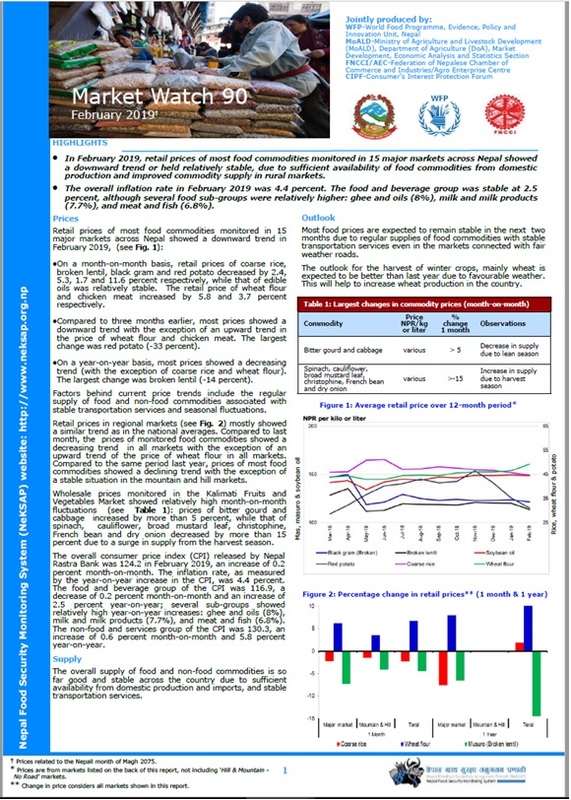 We are pleased to share the initial results of NeKSAP district food security network (DFSN) meetings held in 74 districts in March 2016 and validated in five regional debriefing meetings in April 2016. 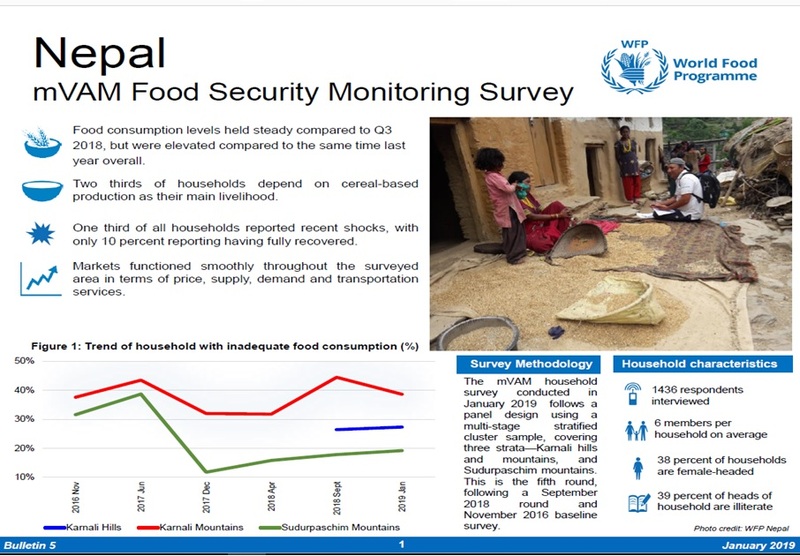 DFSNs analyzed the food security situation during the period of mid-November 2015 to mid-March 2016. 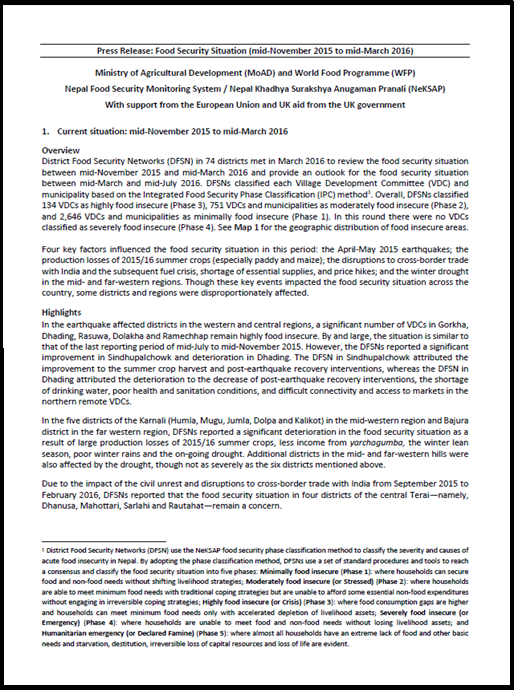 The full results will be published in the Nepal Food Security Bulletin (Issue 47) in May.